“The sound was immense, electrifying, galvanising, mesmerising and still deeply strange, bending the formats of primal rock into all kind of weird and wonderful shapes. From the warped garage rock opening of Interstellar Overdrive, Astronomy Domine and Lucifer Sam to the closing proto-shoegaze blitz of One of These Days and bent musical hall wackiness of Point Me at the Sky, it was a set of such startling intensity it seemed to mock the very notion of nostalgia. It was enough to make you wonder whether rock has progressed very far at all since the Sixties. This is an opportunity to experience Pink Floyd’s celebrated and significant early body of work played live including songs from albums ‘The Piper At The Gates of Dawn’ and ‘A Saucerful Of Secrets’. Very few bands are as culturally important as Pink Floyd. They are one of the best selling music artists of all time and Nick Mason is a co-founder and the only constant member of the band performing on all of their albums as well as all of their live shows. 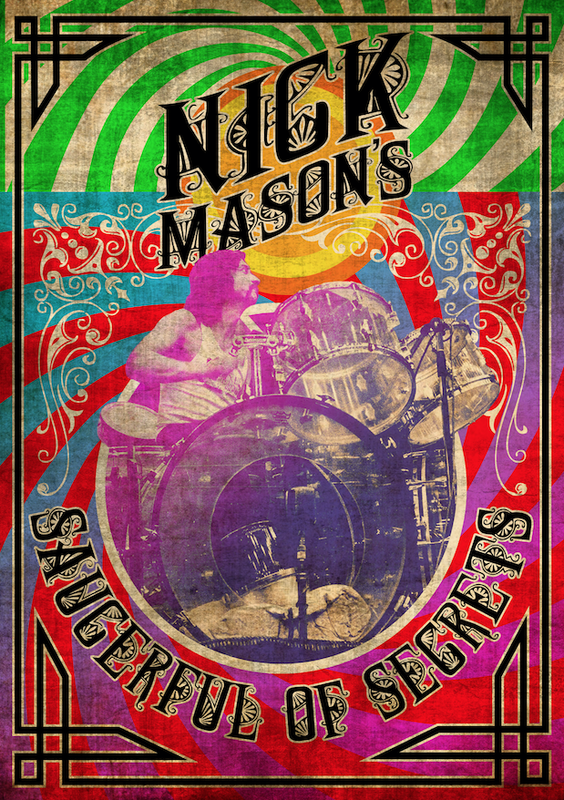 This is Nick Mason’s first live musical tour since Pink Floyd’s Division Bell Tour in 1994, and the Nick Mason’s Saucerful of Secrets show at Dingwalls on 20 May 2018 was his first since Pink Floyd played at the 2005 Live 8 concert in London.